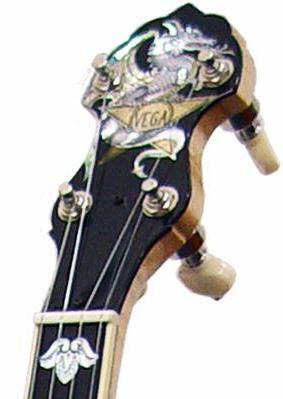 Continuing the Vega tradition of fine banjos that some players refer to as "playable sculpture", the peghead of the Dragon Star is exquisitely inlayed in mother-of-pearl and abalone shell with a many scaled, fire breathing dragon whose tail and claws are entwined around a bold Vega Star. 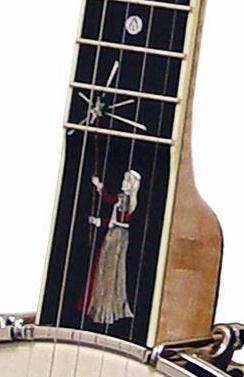 At the base of the scooped ebony fingerboard is a delicate princess colorfully inlayed with a hand-engraved detailing. You must stop by to see and play this latest masterpiece from our friends at Deering Banjo.